Hello Readers!! Today's article is all about "How to optimize or add keywords to increase the traffic amount in your blog". Keywords are the most important part of SEO. Most SEO steps call for you to choose the keywords that best reflect your blogs niche and to optimize your blog either by optimizing the blog content for specific keyword, or by sending traffic and links to your blog using these keywords. Therefore, it is essential you understand how to select blog keywords and how to optimize them. Your blog can focus on a number of keywords, and each post in your blog should be optimized for a specific keyword to help the search engine display this post when users type this keyword in their search queries. Many factors affect which keywords you choose for your blog. You must first determine the market niche and audience for your blog. This helps you predict the search engine queries users will use. There are two types of blogs with regard to keywords. The first type is blog that focus on a limited number of keywords or just one keyword. These blogs are easy to optimize because you focus your SEO efforts on only one term. On the other hand, this limited keyword focus is very risky because you need to choose the best keyword; otherwise, it will not drive any traffic to your blog. The second type is blogs that include a number of different keyword categories. While these keywords are not related to each other, they are related to the same market niche. When you focus on these keywords in your blog, it takes more effort during the SEO process to optimize content for each one. If you have a new blog that you would like to optimize, you should focus on one category of keywords such as photography, wedding photography, photo effects, and nature photography or like our niche which is Blogger Tips and Tricks. This will help your blog to get indexed fast in the search engine and get ranked in these keywords better than the blog or websites that do not focus on specific category keywords. Additionally, the SEO process for focused blogs are more easier than the blogs that have wide range or keywords. When your blog get ranked in specific keyword, you can move forward to focus on more keywords and so on. Head Terms refer to one- or two-word keywords such as “jobs,” “fish food,” and “mothers.” These Head Terms keywords are very common and are used frequently to describe a blog or website category or product. While these keywords require massive SEO efforts to optimize, they do not guarantee you will have success, especially when your blog is new on the Internet. This is because search engines display older blogs and products that include this keyword before displaying yours. For example, if you search for the word “Photoshop,” you will notice that the first search results to appear are links from the product’s company, along with websites such as Wikipedia and large technology news websites. Thus, it is wise to think in terms of long keywords instead of hard-to-reach Head Terms. Long Tail Terms refer to search keywords that include more than one word, such as “free online jobs,” “fish types in the Red Sea,” and “free tips for new mothers.” Most users are trying to find specific information, so they do not type just one word in the query field and tend to include the important keywords in their search queries. Thus, the Long Tail Term keywords can be easier to target. 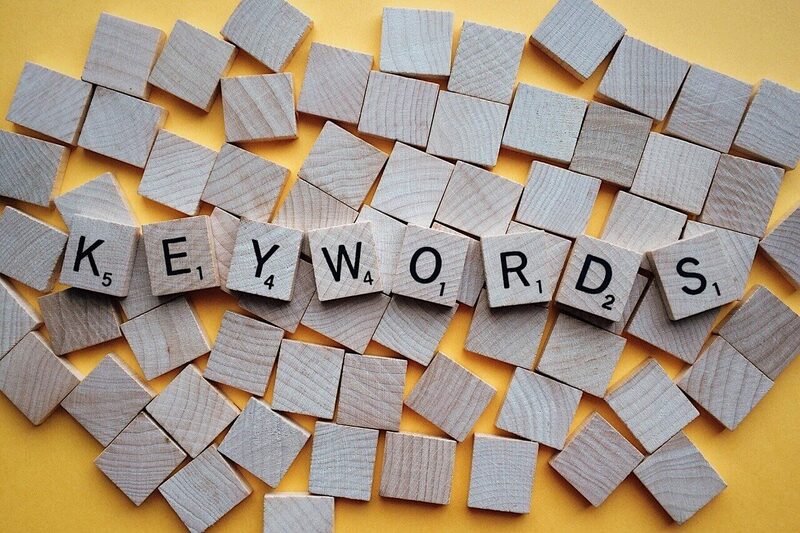 While these keywords have fewer results than the Head Term keywords or the same search volume, your blog has a better chance of appearing in search engines using Long Tail Term keywords. Building content that focuses on these keywords will help you improve your blog traffic and rank over time. Keyword optimization is a slow, long-term process that requires time and effort in order to see a significant impact on your blog. So, you have to focus on one keyword at a time, and once you finish optimizing some of your blog content for this keyword, you can move on to another keyword. Keep in mind that you will get the best SEO results if you keep your keyword focus limited. If you are creating a new post on your blog, you should use your keywords wisely, and focus each post on a specific keyword. For example, you can create an article for your blog that talks about online business and include the keyword “onlinebusiness tips” to get the post ranked for this keyword category. There are different aspects to applying keyword optimization to a blog. Your blog’s content is one of the most important parts to optimize because it is what the search engine displays when the user types a related keyword in the search query field. You also have to optimize the blog links and menus to reflect blog-focused keywords. For example, if your blog niche is “online jobs search,” you can have the menu links reflect this with text such as “Job search” and “Online jobs.” The other part of the keyword optimization is the blog code. You have to apply specific SEO methods to ensure that the blog code is optimized for search engine indexing.